At Gearshift, we frequently produce videos for established businesses. However, what some people may not realize is that we actually help all kinds of people, including aspiring news anchors. When you're trying to make a name for yourself as an anchor, a highlight reel is an absolute must. This is what you're going to send to prospective employers to give them an idea of your on-camera presence and how you handle different stories. The highlight reel is your time to shine, and you want to be at your absolute best. If you majored in some kind of broadcast journalism in college, there's a good chance you graduated with a few good clips from your classes. If your school had their own TV studio, you may have even been a real on-air anchor for the campus news show. These all make for great additions to your highlight reel. But, if you really want to get noticed, you need to make sure you cover a variety of different topics and situations. This is where taking advantage of a D.C.-area studio rental comes in to play. When you rent out our Gearshift, you can beef up your highlight reel as much as you want. Bring changes of clothes, different stories, and tell us what you need. With our green screen technology, we are able to key-in any kind of background or graphics that you think will make your highlight reel the absolute best it can be. We also offer a teleprompter, so there's no need to shuffle around distracting papers while you speak—it will all be right in front of you. 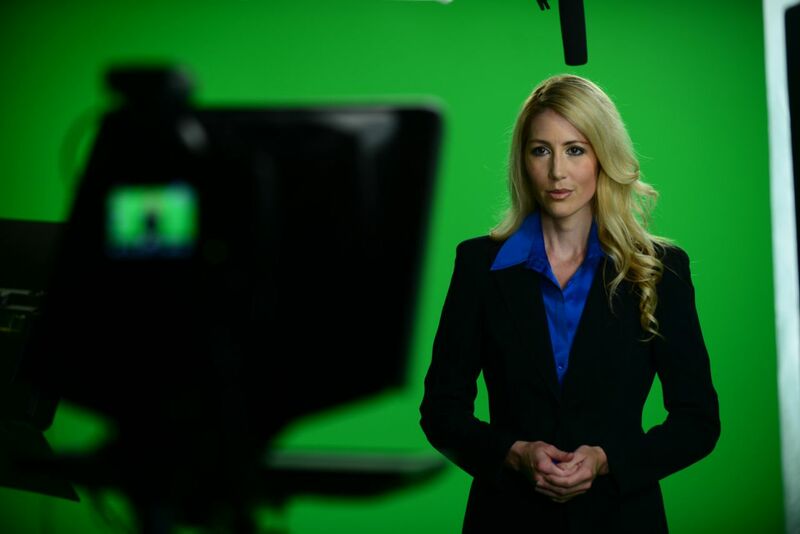 We love to help future news anchors perfect their highlight reels, so call Gearshift today at 703.962.1270 to learn about our video studio rentals, and let us know what we can do to help you.